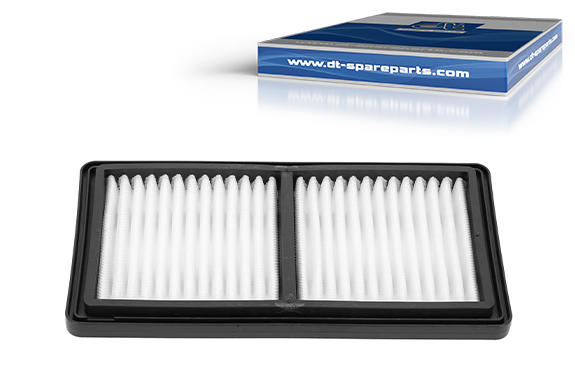 The crankcase ventilation filter 7.74104 distinguishes itself through its highly-efficient filter material and excellent accuracy of fit. The polypropylene edge ensures permanent stability, even under high temperature conditions. The ventilation filter prevents that unfiltered blow-by gases, contaminated with engine oil, will be directed from the crankcase into the intake passage of the turbocharger. The oil filtered out of the air is then added back into the oil circulation so that the oil consumption and total emissions of the engine are efficiently reduced. Prior to the exchanging, the wear condition of the removed item should be assessed. Where there is used engine oil residue or residual water, an engine oil change should also be carried out. The new item must be mounted tension-free in order to ensure optimal function and sealing. The vent in the cover should be checked for function and cleanliness. For test purposes blow through the vent. The cover must then be assembled with the installation torque stipulated by the manufacturer.